As the sun shone and ground continued to dry up, conditions pushed our Senior competitors mentally and physically for their second day of timecard Enduro racing. 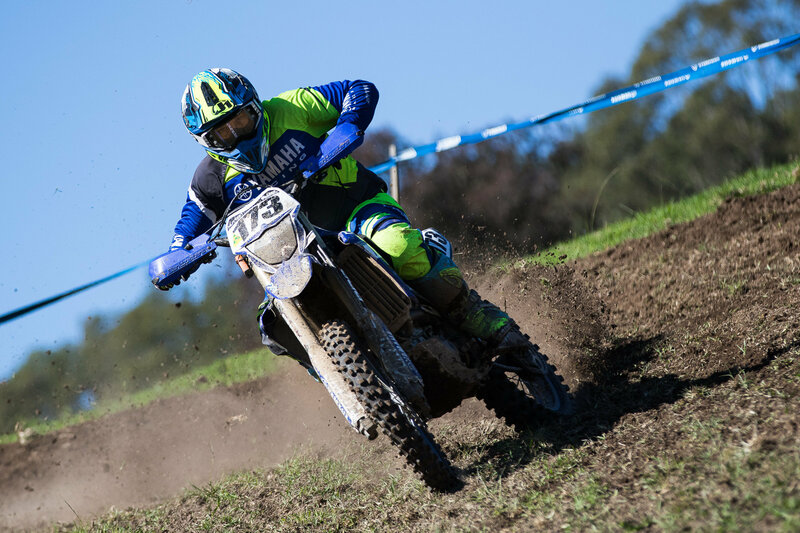 Round 4 of the 2019 Yamaha Australian Off-Road Championship (AORC) in Dungog, New South Wales (NSW) presented riders with two tests, the WR 450F Cross Test and the Off-Road Advantage Enduro Test, with each completed three times through. With the combination of slippery waterbeds and dusty, tight forest tracks, Round 4 saw Jessica Gardiner (Yamaha MX Store Ballards Off-Road Team), Lee Stephens, Geoffrey Ballard and Geoff Braico reign victorious for the second straight day in their respective classes. In Masters, Brad Williscroft came out on top, ahead of yesterday’s Champion, Kirk Hutton. Firing on all cannons for a fourth consecutive class win, Gardiner completed an undeniably successful weekend in ‘The Gog’ as she pursues her campaign to knock the current AORC Women’s title right out of the park. 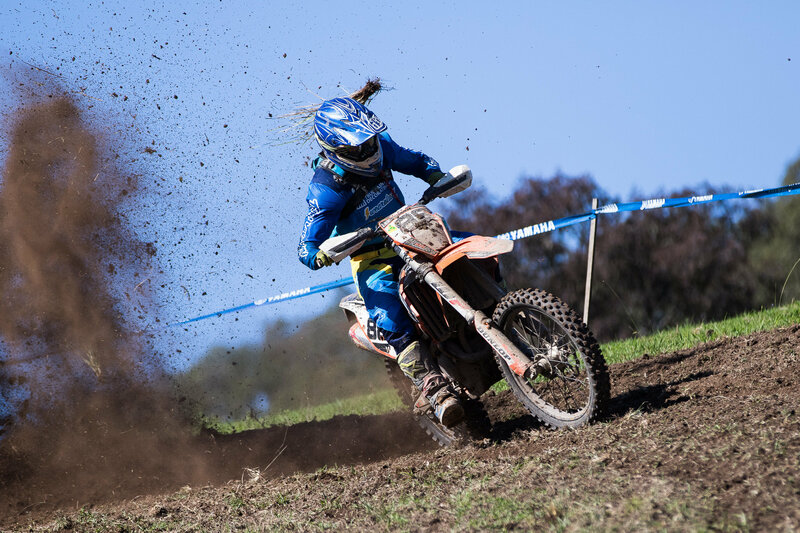 With a time of 37:08.267, Gardiner used her wealth of FIM International Six Days Enduro (ISDE) experience to maintain a cool head throughout the two days of timecard Enduro racing. Second place was awarded to Honda’s Emma Milesevic. 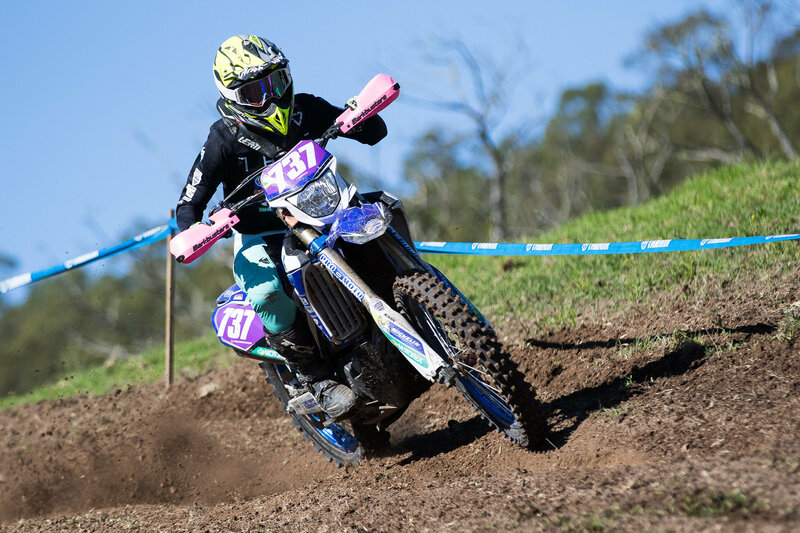 With the stark realisation that Dungog presented her first Enduro racing format, Milesevic upheld her insatiable positivity right to the end, cementing her position in the Women’s competition. Milsevic finished Round 4 with a total time of 38:12.046. Third place was won by Yamaha mounted Emelie Karlsson, who overcame tough tests and conditions to hold onto her position on the podium. Karlsson completed Round 4 with a total time of 38:27.540. Reflecting on her weekend in Dungog, Karlsson explained that “I didn’t have the best day on Sunday. I felt really strong up until Test 2 when I had a crash, which was super frustrating. It’s been a tough few months coming off an injury, but my speed is increasing more and more each round to match my times back in 2018! “This weekend has been tough, but I’m looking forward to this break where I can work on rehabilitation from my injury, building more hours on the bike and working on my fitness,” reflected Karlsson. Knocking Kirk Hutton off his perch for Round 4 on Sunday for first place was Brad Williscroft. With a total time of 34:51.453, Williscroft used the conditions to his advantage, as he gained further ground ahead of Hutton as the day progressed. Settling for second, Hutton finished Sunday with a total time of 35:14.284. Rounding out the Masters podium for the final day of the Dungog weekend was Timothy Martin, with a total time of 36:08.589. Round 4 of the 2019 Championship has treated Stephens very well as he obtained another straight Veterans class win. Stephens lead the charge on Sunday by just over one minute, ahead of second place holder Scott Dunn, who finished Round 4 with a total time of 36:12.361. Clinching the final coveted podium position was Chris Thomas, with a total time of 36:32.216. Competitors and fans alike were treated to a second straight day of the sound of historical engines fulling the air. As the Vintage Cup returned on Sunday as a supporting class to the 2019 Championship, the two competitors Geoffrey Ballard and Hadyn Fisher retained their respective first and second place positions on the podium. Ballard and Fisher ended Round 4 with a total time of 27:36.390 and 33:14.360, respectively. Arriving in Dungog after a fantastic two rounds in Toowoomba back in March, the newly reinvigorated 2 Stroke Cup blazed a trail for Round 4. Taking the class win once again was Braico with a total time of 33:57.939, who lead the charge ahead of Jacob Peacock by just shy of two seconds! Closing off the podium in third was Bradley Redman, who clearly gained confidence and speed over the weekend. Redman finished Round 4 with a total time of 35:22.090. AORC now moves to Kyogle, New South Wales for Rounds 5 & 6 in Kyogle from 20-21 July. As the riders take a well earnt break and prepare for Kyogle, stay updated on all things AORC and Off-Road by checking out AORC.org.au, Facebook and Instagram, and be sure to follow the Official AORC hashtag, #only1roadoffroad!